Jewel Horton, Pender County Animal Shelter, with the help of North Carolina Department of Agriculture & Consumer Services, Pender County Animal Control and The N.C. Forest Service delivered food, hay and fresh water to livestock, chickens, dogs and cats stranded by Florence in the Lillington Lane and Honeysuckle Lane areas of Pender County by helicopter. 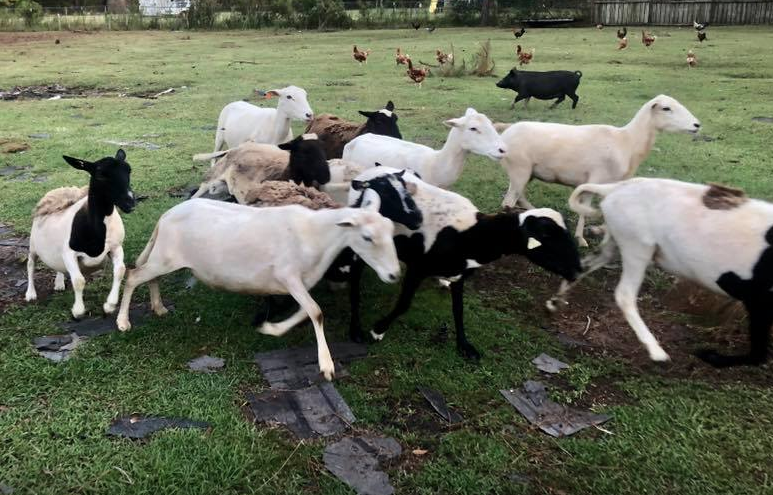 Several agencies collaborated to deliver food and fresh water to livestock stranded during Florence. Owners without a livestock evacuation plan had to live animals behind.